I feel like we've been bamboozled by the groundhog. Despite the stubbornness of the cold weather, I've officially decided that I'm just going to start dressing the part and if I will it to be Spring then perhaps the weather will cooperate. If you are shy about rocking the brights, my advice is to stick with small pieces and to try a neutral lip with the look. I love MAC's Modesty or NARS Chelsea Girl. And the good news is that brights are all over the place this season...from JCrew to Gap. This outfit may actually look familiar if you are a follower of The Pink Peonies. Rachel rocked a similar look here and coincidentally, I had this guy ready to publish when I saw it. Great minds Rach, great minds. I just love that pink shirt! Spring is almost here! I would love for us to follow each other :) Have a wonderful day! 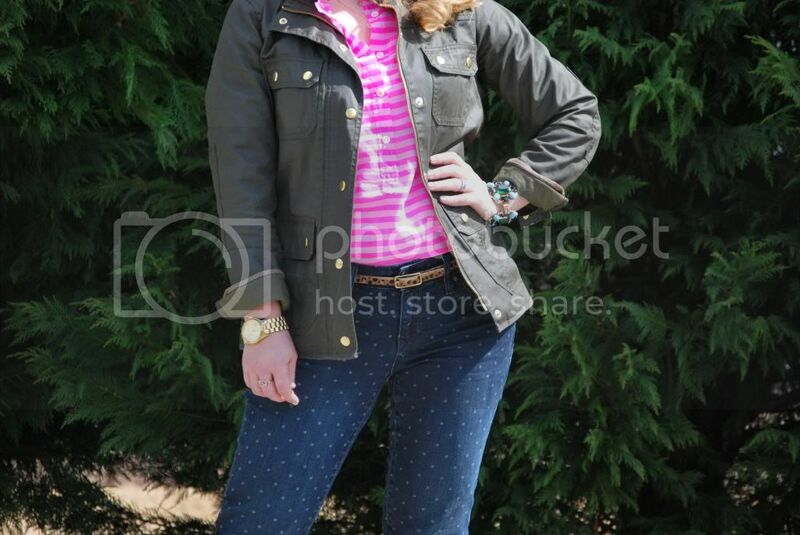 Love that pink top and the mix of prints in your outfit! I wish spring would hurry up and come but we are supposed to get a ton of snow in DC tomorrow! pretty! 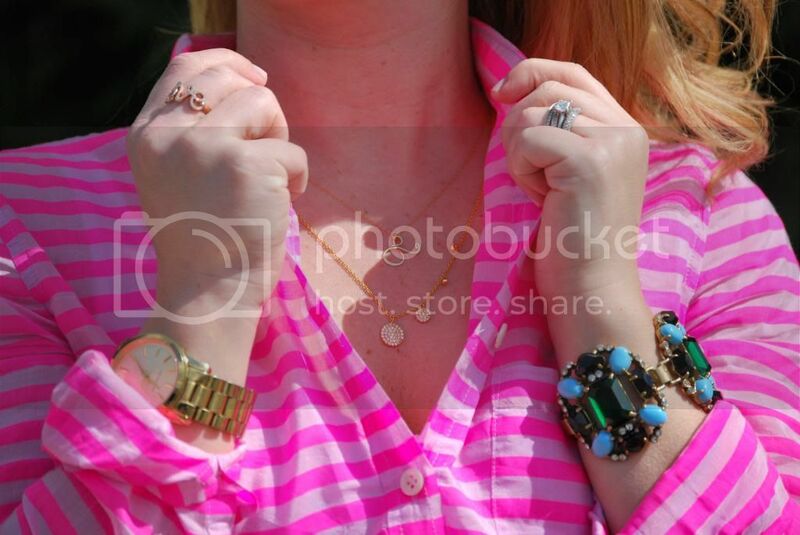 love the pink stripes... cheers to spring - thank goodness its March! Love this outfit! Those pants are so fun! LOVE the pink. i'm all for tricking the seasons by wearing fun bright colors!